Shepard, Sam, and I woke up this morning at a cool 5:15 AM. 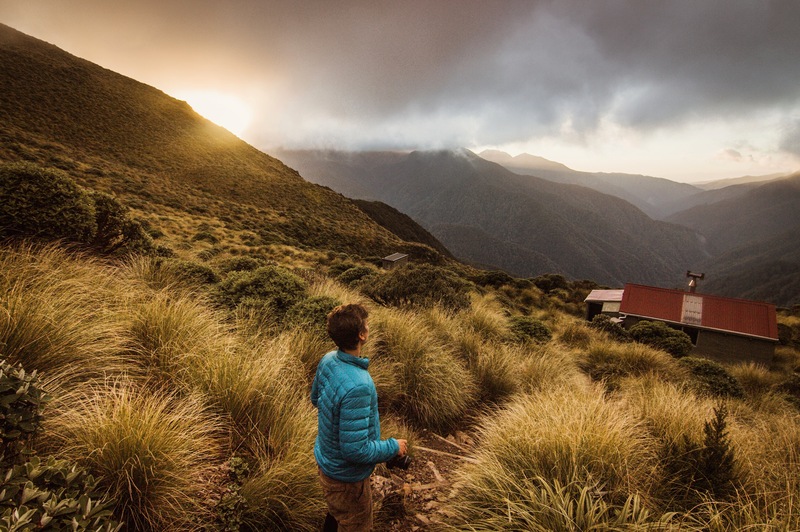 Shep was leading the charge to check out the sunrise at the top of the peak just before the Nichols Hut saddle. Jack, in the mood for a bit more sleep especially given his current cough, decided to stay in his bag until we returned. 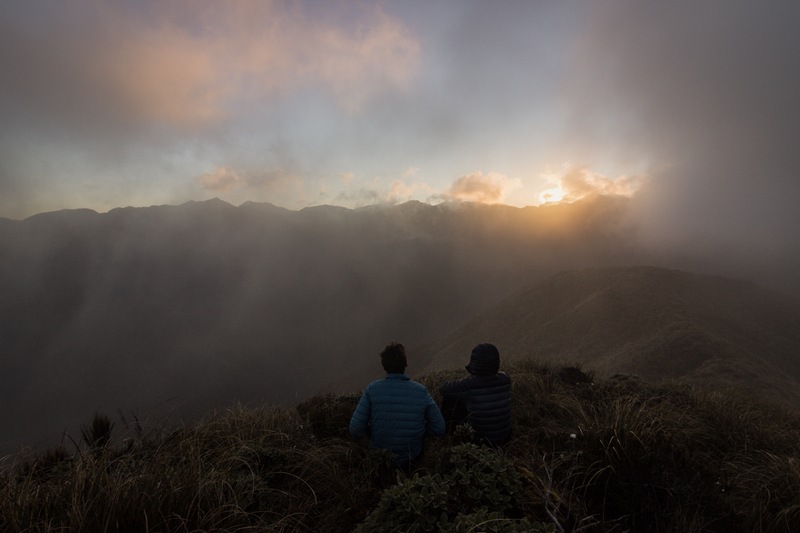 We could tell pretty quickly we wouldn’t be able to see the sunrise due to heavy cloud cover, but before the clouds really came in we got about 10 bonus minutes of Tararua views before the range was completely swallowed. Despite not getting to see the rise, the short hike was well worth it. Sitting on the high peaks in heavy cloud has quite a cozy effect as long as you’re bundled. Walled in by the pillowy white behemoths, we sat for a while watching smaller wisps of cloud whip past. 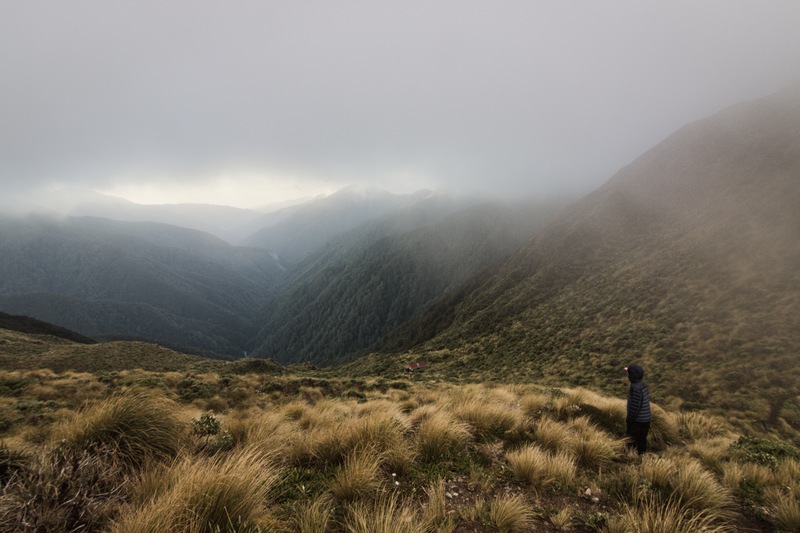 We headed back to the hut, packed up, bid a see-you -later to our new Polish friend Pawel, and headed back up to the saddle, and began our ascent toward Mt Crawford. That climb was my favorite of the trip. We walked on a narrow ridge with nothing but white on either side, sealing us into our day’s walk on the tussock-sidewalk in the sky. We moved quickly but made a point to stay all together due to the low visibility. The climb to Crawford was tough, but as a group we have become quite good at steep climbing. Before we knew it we began our descent via ridge-route toward our junction. From the junction, at which the sign read 2 hrs until Waitewaewae, we headed down and shortly arrived below treeline. From there it was an extremely steep descent over just a couple of km’s. Very tough on the knees, but we were done with the descent by 10:45 AM. From there it was a nice flat forest walk until the hut which we reached at 11:00, marking the end of our short travel day. Given that we are well ahead of schedule and that bad weather kept us out of the southern peaks, we have time to kill in the forest. Hence, we decided to call our day here at Waitewaewae, and are also planning a zero day here to wait out tomorrow’s crappy conditions. The rest of our day consisted of Hearts and Harry Potter, with reading/napping breaks. Dinner was spaghetti with tuna and as we were eating, the hut began to accumulate visitors. Pavel arrived, followed by three kiwis from Wellington who have spent a lot of time in this range. 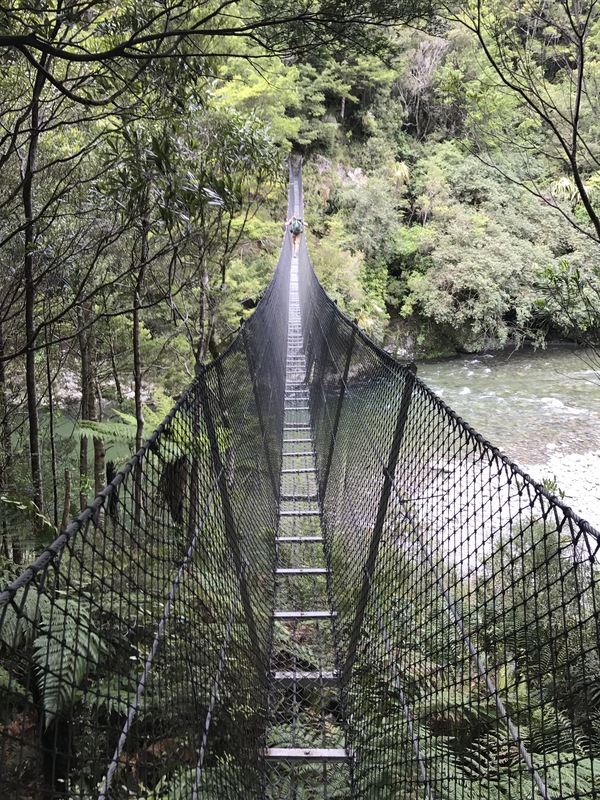 A TA hiker named Rob arrived, followed by two more local kiwis showed up who have been hiking this range since they were young. Crazy to hear these guys talk about the Tararuas, getting dropped off by their parents when they were young for a whole week in the range. Such an epic and challenging place seems home to epic people ready for the challenge. We are quite happy to have been able to spend just a few days in their home range. 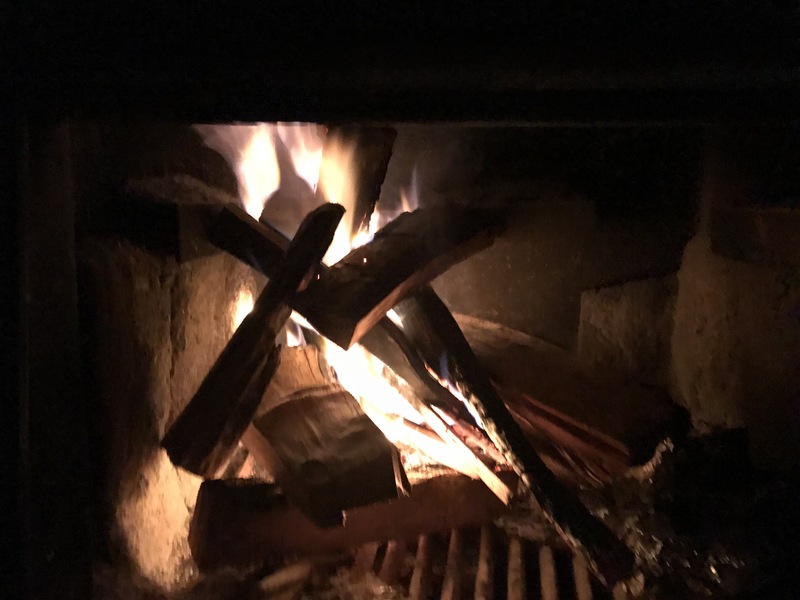 Now we’re ready to sleep in the hut, warmed by a fire in the wood stove, at the foot of the howling, biting, and lovey Tararua Peaks. 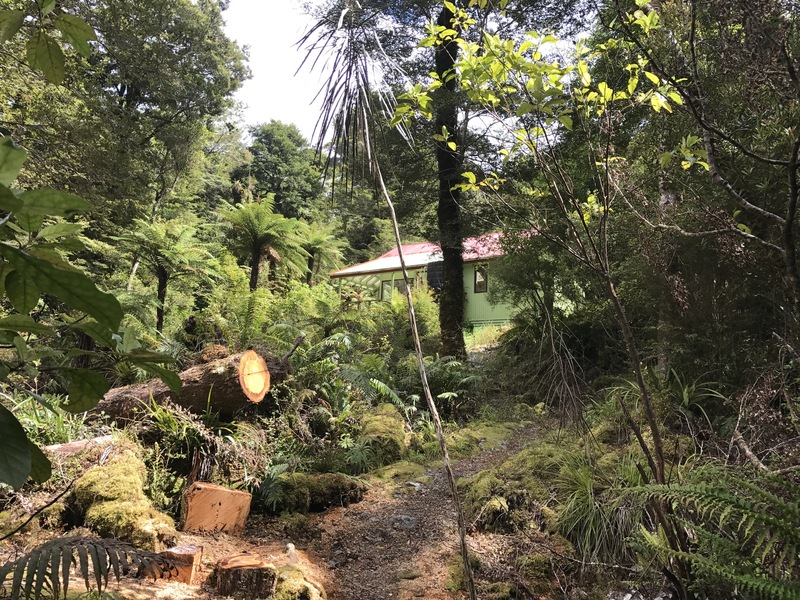 Next Next post: Day 65 – Waitewaewae Hut Zero Day!